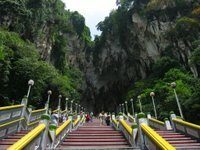 To the Batu Caves, Robin! 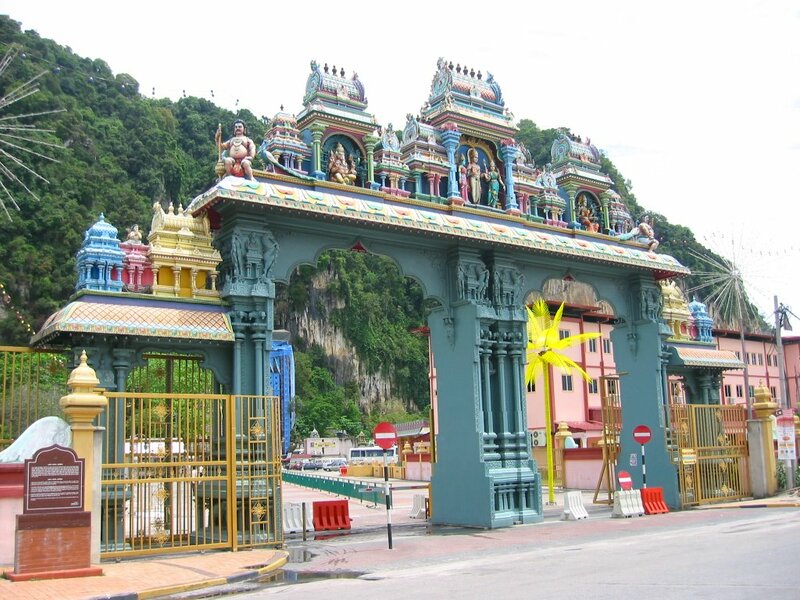 I could've easily taken a cab to the Batu Caves, but instead I decided to take the bus, as the locals would do. I've been commuting on buses back in Manila, but this is not as easy as it sounds. For one, I don't know the language, and second, I don't know the place. I took the train from KL Sentral to Pasar Seni (Central Market) station, and from there I walked about looking for the bus stop for 11D. My research on the Internet tells me the bus stop is near Bangkok Bank, but 15 minutes later I still don't see any 11D bus passing by. I asked a lady storekeeper nearby, and she was kind enough to tell me that the 11D has already been discontinued. Better for me to catch the 69 bus. I moved on to a plaza with a short clock tower sandwiched between two HSBC branches, and waited for my 69 bus. I didn't see any coming, so I asked one of the bus drivers waiting there which bus is going to Batu Caves. He pointed to the bus in front of him. Must be my lucky day. I thanked him, and proceeded to board bus number.....26. Hey, something must be wrong here. I got off the bus, just in time to see the bus driver drive off with an amused look on his face. Well, I may be a tourist, but I'm no dummy. Bus 69 eventually came. I'm sure this is the right one because a lot of other foreigners are queuing up. The bus is beat-up and dingy, but at least it's airconditioned. You have to give the driver the exact fare because they don't give change. One thing I noticed is that the locals don't their seats to the elderly. 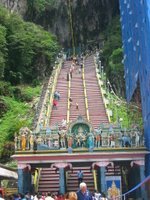 I gave my seat to one and ended up standing for 30 minutes all the way to Batu Caves. 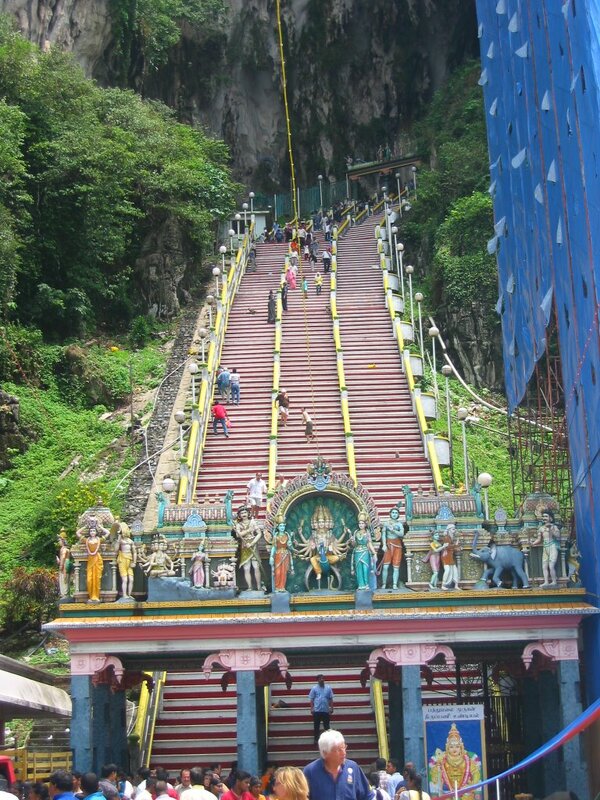 First thing you see when you get to Batu Caves is the imposing 272-step stairway that leads up to the mountaintop. 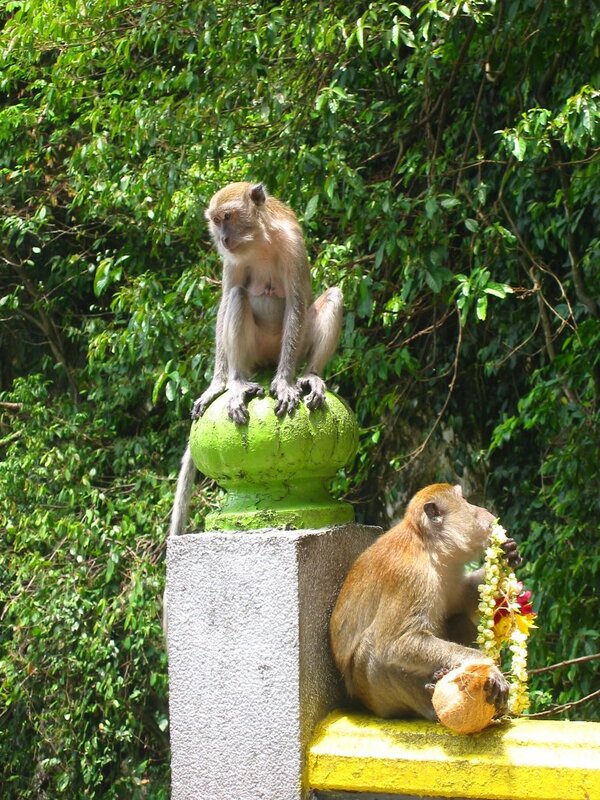 Next are the macaque monkeys that seem to be everywhere. 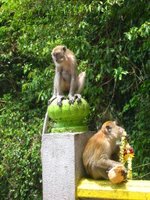 You can buy bananas and peanuts from the nearby shops to get them to approach you. Batu Caves is made up of three main limestone caves (400 meters long and 100 meters high) and some smaller ones. Inside are shrines for the Hindu gods. Once a year, the Thaipusam festival (honoring the son of Shiva) is held here, which draws as many as 800,000 devotees and visitors. People carry heavy kavadis and pierce themselves with metal hook and skewers, as a form of penance or sacrifice. 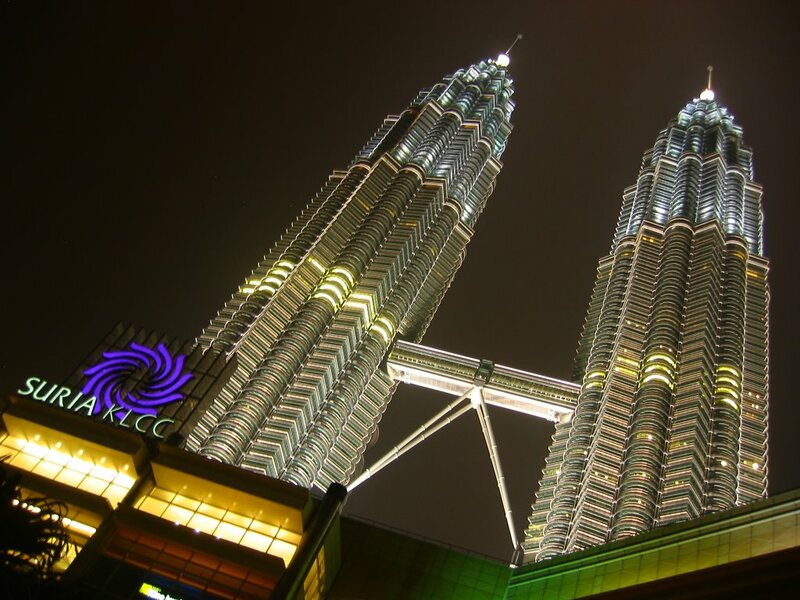 Going up to the Petronas Twin Towers is free-of-charge, but you still need to get tickets. There's only a limited number of tickets being issued per day, and they run out pretty fast. Last tour is at 4:30pm, and public access to the Towers is closed by 5pm. I was expecting the ticket office to be somewhere within the Suria Shopping Center at the base of the towers, but it's actually at the lower level of Tower 2. I got there around 11:30am, and there's already a long queue of people, mostly foreign tourists. Good thing I managed to get myself into the 4:15pm batch. Visitors are given a colour-coded pass to identify members of a batch. Then, we have to go through security checks and metal-detecting doors, just like those in the airports. While waiting for the others to come down, we were ushered into a theaterette where a short movie gives an introduction to the Petronas Towers. Intelligent building, an engineering marvel, 88-storey main towers, 44-storey annexes, 58.4-metre double-deck skybridge at levels 41 and 42, 452 metres in height, 65,000 sq. metres of stainless steel cladding, 77,000 sq. 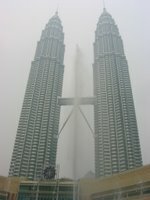 metres of vision glass, 160,000 cubic metres of concrete in the superstructure, 32,500 tonnes of reinforced concrete under each tower, etc. Our high-speed lift (one floor per second) took us to the skybridge level, then we were let loose. It wasn't as spectacular as I expected. It's just a glass-and-steel bridgeway, which gives you a good view of the city. And close-ups of the sides of the buildings. You can't take very good pictures though because the glass reflects a bit. Apparently, that's the highest you can go up the Petronas Towers. Next thing we know, we're back on the ground floor. 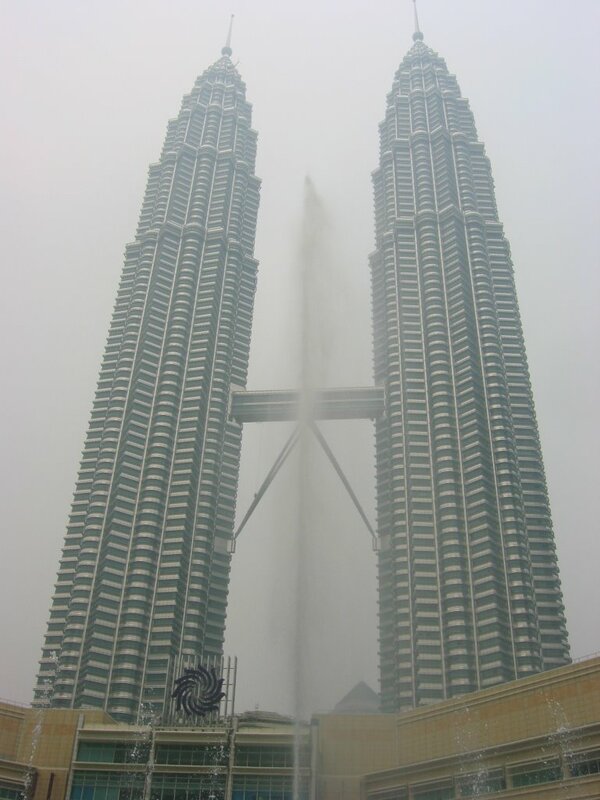 Note: The Petronas Twin Towers were the tallest buildings in the world from April 15th, 1996 until October 17th, 2003 when Taipei 101 (Financial Center) was topped out at 508m (1676 ft). On the train ride to KL Sentral, I noticed that construction seems to be going on everywhere - new highways and roads, new high-rises, etc. Surprisingly, the whole place is surrounded by rubber trees and vegetation. People drive way beyond the stated speed limits, and the road signs make little sense at all (at least to me). People change lanes whenever they want, and always at the last possible limit. Wearing of seatbelts doesn't seem to be mandatory. Negotiating roundabouts is a scary affair because it's a free-for-it. I've heard the taxi drivers don't issue receipts. If you look like a foreigner, there's a high chance you'll be taken for a ride (literally). Best to negotiate a price before getting in the cab. Things here are pretty cheap. In some cases, even cheaper that those in Manila. A Big Mac meal with medium fries and medium Coke (never Pepsi), including the Big Mac of course costs about MYR 8, approximately PHP 115 or USD 2.1 or AUD 2.7 or SGD 3.4 or EUR 1.6. (I hope I didn't miss anybody.) Fake DVDs at MYR 10 for 3. Short trips on the train or bus is only about MYR 2. Meals at the local hawker center is about MYR3. I could learn to like this place. When the plane touched down, and I walked into the airport, I had a sudden feeling like I was back in Manila. And that's not a compliment. 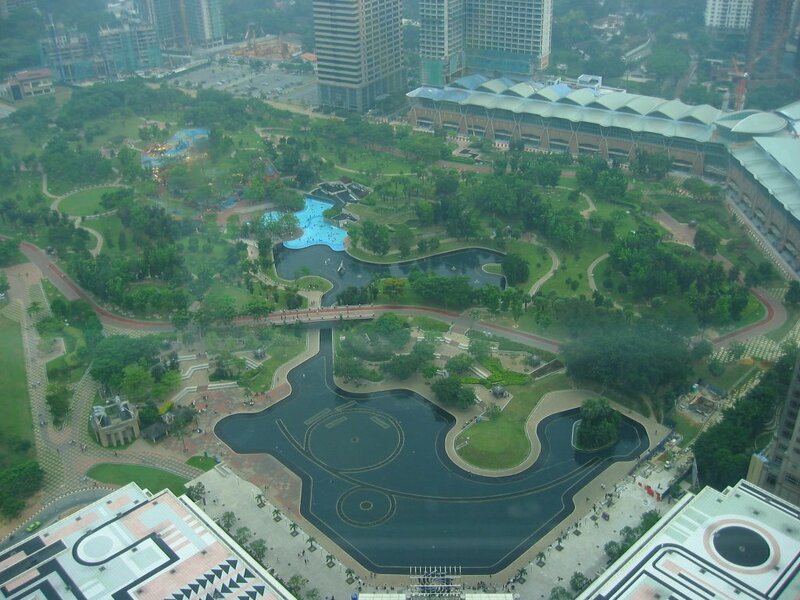 The weather is hot and humid - not KL's fault. The moment people got to the arrival area, everyone rushed to the doors of the waiting monorail called the Aerotrain, which will take them to the immigration area. I go "What's the rush?" 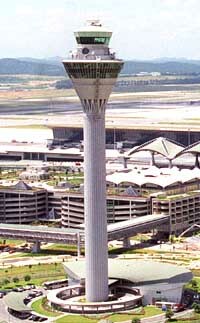 The KLIA (Kuala Lumpur International Airport) is big and new. Doesn't anybody want to stop and look around for a while? Later, I found out why. By the time I got to immigration, there's a long long queue. The early birds are milling around the baggage conveyor belt already. The immigration counter people are not smiling, either. There are two exits - one for Goods to Declare, the other for No Goods to Declare. Nobody was manning either of the exits. People naturally went for the obvious choice. I knew I should've smuggled some bad medicine or diamonds or exotic birds or whatever it is people smuggle. There were some official-looking guys trying to get foreigners to book airport taxi. They're not fooling me - this guy's a veteran from Manila. I went straight to the KLIA Express train booth. 75 kilometers in 28 minutes - non-stop to KL Sentral. I asked the lady how much are the tickets. That would be 70 ringgits. How much is a one-way ticket then? For those who have been visiting my blog regularly (who am I kidding? ), you should've noticed the new Google search section I added to the right panel of my blog. Now, everything you wanted to know is just a search away. You can even restrict your search within my blogpage and its archives. I might as well explain some other features of my blogpage. Basically, the blog entries are on the left, while miscellaneous sections are on the right panel. Blog entries are separated by a fine dotted line. At the end of each entry, you'll find a line which shows who posted the entry, when it was posted, and how many comments are attached to that blog entry. My readers are a shy lot, which explains why almost all the blog entries have zero comments. Just click on the "0 COMMENTS" link to post a comment. Beside it is an icon of an envelope. Click on it to email that blog entry to your friends. On the right panel, you'll find a picture of me, plus some additional information. Below it are the latest blog entries and archived posts. Then, you have the Google search box, which is free for your use. A few Google ads, which I suggest you click as many time as possible to make me a rich man. Lastly, you'll see some cute icons, which serve no purpose at all, but only there for aesthetic reasons. It's funny how the train fare works. If you buy your tickets before 9am, it costs $6. After 9am, it's $3.60. (They say time is money. Now we know how much a second costs.) That's a 40% discount, for the bargain hunters among you. Normally I don't give much thought to this because I have a ride-all-you-can weekly pass. The pass expired yesterday, so now I have a dilemma. Should I take the train before or after 9am? It's not like we're using time cards in the office, and only a few people will notice if I arrive at 10am. Model employee that I am, I opted for the former. I take the 8:30am train to the city, then bus to the office. When I say 8:30am train, I mean it's supposed to arrive at 8:30am, but that's not how it goes. If I'm in a rush, the train usually arrives late. Same goes for my bus ride to the office. A bus is supposed to come every 10 minutes. Well, I've been reading this book for more than 30 minutes already, but still no bus. If I cross Darling Harbour via the Pyrmont Bridge by foot, I would've reached the office in 20 minutes. But that's not the point. If the bus timetable says every 10 minutes, I expect a bus every 10 minutes. By the time the bus came and delivered me to the office in 15 minutes, it's 10am already. So I'm thinking, if I have any kind ESP, I would've woke up late, paid only $3.6 for the train fare, saved the bus fare by talking a leisurely walk to the office, and still end up in the same place. Bah! 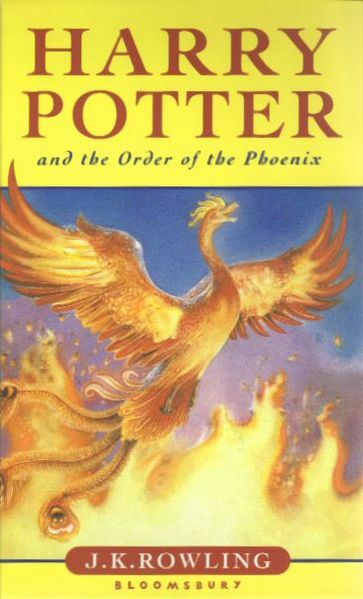 Finally finished reading Harry Potter and the Order of the Phoenix. 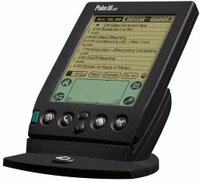 The going's a bit slow because I'm reading the whole 768-page book on my Palm. Never mind where I got the soft copy. a walkthrough of Hogwarts and its environs, Hogsmead and its shops and pubs, Diagon Alley, the Forbidden Forest, Gringotts Wizard Bank, etc. If Rowling took all these out, the book volume will surely be halved - giving more space for better story/plot development. Everything's new, magical, and exciting the first time around, but when you read the same stuff for the fourth time, you'd wish Rowling would start off with a totally new series. If I am to write Harry Potter Book 5, it would go something like this: Voldemort is desperate to hear the prophecy about him and Harry Potter, which is captured inside a glass sphere. (Don't ask me why a glass sphere and not a vodka bottle, and how the prophecy got into the sphere in the first place.) Voldemort can't get to the sphere since only the owner can touch it. (Again, don't ask me why.) So he projects dreams into Harry's mind (How? ), leading him through a long corridor inside the Ministry of Magic, to the room where the glass spheres are kept. And Harry, being the rash, naive, attention-grabbing brat that he is, falls right into Voldemort's trap. As usual, he involves most of his classmates and the Order of the Phoenix into the mess, and Dumbledore has to risk his neck and set everything straight. Too bad Sirius has to die to show how real and dangerous the fight between good and evil is. Voldemort escapes to live another day (and another book). The end. And that's why Rowling is raking in millions and millions of pounds, while I'm here ranting in my blog. Dropped by the library to read some magazines. Haven't done that for quite some time. 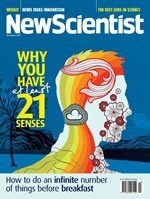 The January 29 issue of New Scientist reckons we have 21 senses, instead of the five (taste, sight, sound, smell, and touch) mentioned by Aristotle. When you close your eyes, and extend your arms. Do you know where they are? You can't see them, but you do know where they are. Now, wriggle your fingers. Again, you can't see them. They're not touching anything, but you know they're really wriggling. Now stand on one leg. Were you able to keep your balance or did you fall over. Which senses were you using in the above examples? When hold an ice cube with one hand, and a hot coal with the other, is it a matter of touch? What about texture? What about pain (or pleasure)? Or hot and cold? When you go on a roller-coaster ride? Can what you feel be fully expressed by just sight, sound, and touch? Saying "NO" Doesn't Make You Frigid - It makes you a killjoy. Over-Protective Parents: When You Have Rules and Your Brother Runs Wild - Wait till you becomes a parent yourself. Competitive Dieting: Who's the Thinnest of Them All - And I thought we're having an obesity crisis. What are Your Dreams Trying to Tell You? - It's time to wake up. 236 Blow-Your-Mind Fashion Buys - So many things to buy, so little allowance. How to Talk to a Guy about Anything - Anything meaning girls, football, and Playstations. How to Deal When He Wants It and You Don't - He can pay for a copy of Halo2 himself, you know. Protect Yourself against Dodgy Guys - Go for dodgy girls. Gotta Have Faith? Religions Explained - Seven religions in two pages. I kid you not. "You're in Brisbane, He's in Perth. Can Your Luv Last the Distance?" - All-you-can-eat SMS for $20 a month. 18 Things to do Before you're 18 - Stop reading Dolly, and get a life. Repeat 17 times. Happy Chinese New Year, everyone. I'm a bit down because I didn't get any lucky money this year. No fireworks, no dragonboat races, no lion dances, no tikoy (that sweet sticky rice cake). Might drop by Chinatown this weekend and see what's happening there. 2005 is the Year of the Rooster. There are 12 animal names, and they're rotated every 12 years. It's also the year of Yiyou. The name of the year is recycled every 60 years. The Chinese New Year is the second New Year after the winter solstice. My sister has always wondered why I stay up late working on the computer. So one day she asked me, and I said I'm watching pr0n. And she says, "At your age, you're still watching pr0n?!" My sister, she just kills me. what's with the old man? So I pulled out my Palm IIIxe on the train to read Order of the Phoenix. I pushed the green power button. 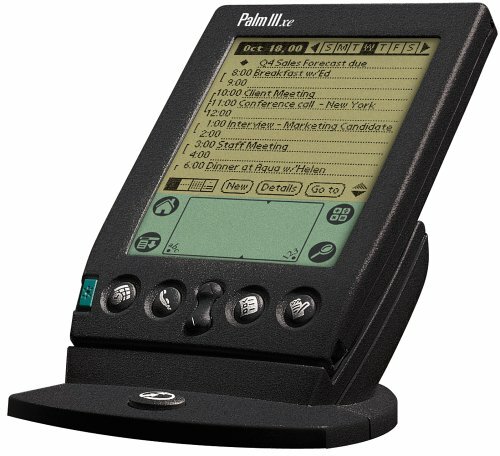 The log-on display came up, then disappeared. Ah, low-batt again. Out of habit, I pushed the on button again and again and again. The screen dying out faster with each push. All of a sudden, the screen flickered a bit, then froze. Thick black liquid started spreading under the screen until every square pixel is covered. I was expecting the liquid to ooze out of the Palm. If I was religious, I would've yelled Jesus Christ. That's what you get for using researchable Ni-Cads, and running them down to critical levels. I've been using that Palm for over 5 years, and I was hoping it would last 5 years more. To my relief, the screen cleared up when I put in new batteries (freshly-recharged Ni-Cads, of course).